It’s been a deliciously busy month. Time was spent in Norfolk teaching art students I hadn’t seen for awhile ranging from 8 to the 70s so it just goes to show that art is for all ages as well as all abilities. A gentleman stayed in a nearby B&B for a mini-painting holiday break which included one-to-one tuition as well as trips out to the Art Galleries on the North Norfolk Coast and, of course, all the wonderful National Trust sites that are open to the public. I’m now back on the Isle of Wight with artwork on show at the Earl Mountbatten Hospice until the middle of next week with painting classes underway at The Salvation Army Hall in Newport. 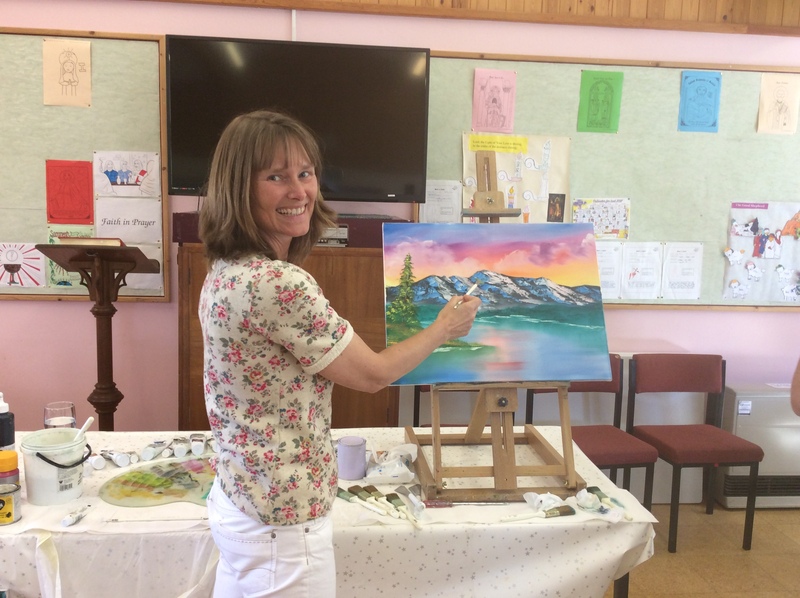 A special thank you to the Isle of Wight Painting Circle for inviting me to demonstrate the other week, as seen above – it was a lively, interactive event which I thoroughly enjoyed.